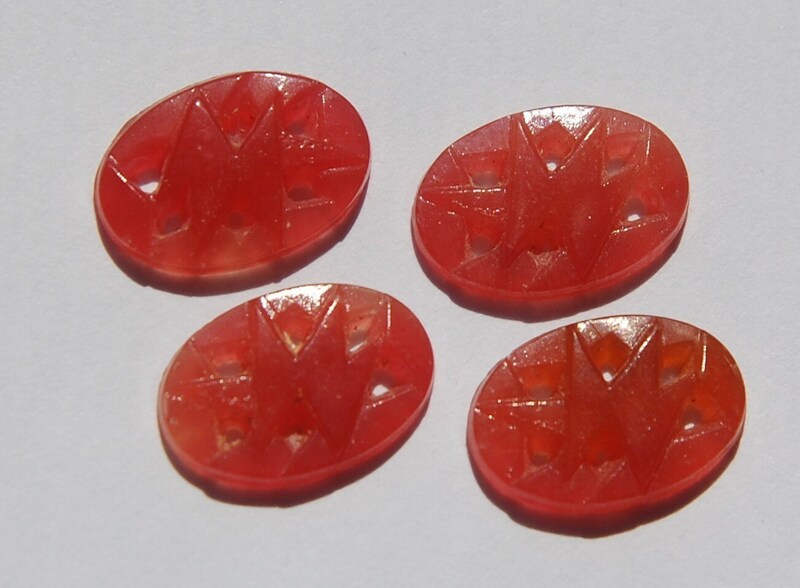 These are vintage carnelian colored glass cabochons. They have a neat deco zig zag like design on top. These are pierced in places. 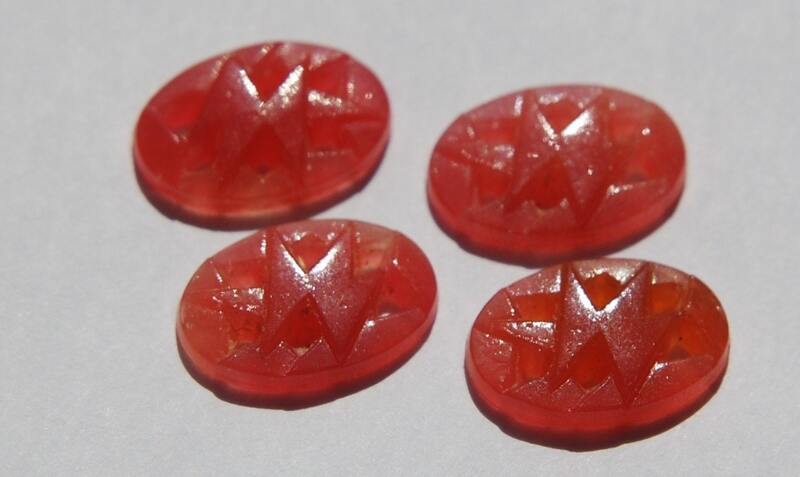 These measure 16mm x 11mm. You will receive 4 pieces.